Our booth caught TIA’s eye. 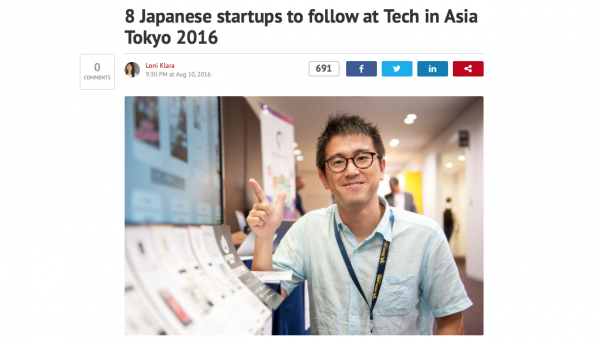 Tech in Asia Tokyo 2016 is over but we still get great responses from the fair. It was such an amazing day, thank you once more! 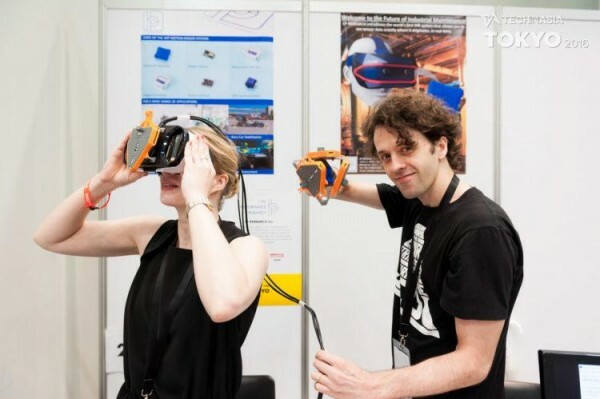 Moreover TIA reported on us again, this time in their round-up of interesting booths. It was our new Virtual Reality headset that caught their eye because it made our booth “more attractive and interactive”. Indeed, many visitors were eager to get their hands on it. If you would like to know more about how we use sensor fusion for VR headset tracking, watch our demo video over here. This is a just a preview, we will give you more updates in the next couple of weeks. In the meantime, read the round-up coverage on the Tech in Asia blog over here. We were featured on the Tech in Asia blog as one of eight startups with fresh approaches, ranging from restaurant recommendations via Instagram to a wearable camera that takes pictures with the blink of an eye. Thank you so much, we are so happy! Tech in Asia Tokyo 2016 has started today. Please come by and visit us in our booth on Wednesday, September 7. Looking forward! Lin, Professor Takanishi and me recently had quite a lively discussion about the question if and to which degree we should open-source the company’s motion analysis software. On the one hand I strongly voted for open-sourcing everything, to quickly make our company known and to support the open-source community. Lin and Prof. Takanishi on the other hand were worried about competitors re-using our code for their own products without giving us proper credits (and therefore violating the GPL). Obviously both sides have their pros and cons, so I thought it might be nice to ask that question to the community on Slashdot. Today the questions has been published. Check here to read the comments.